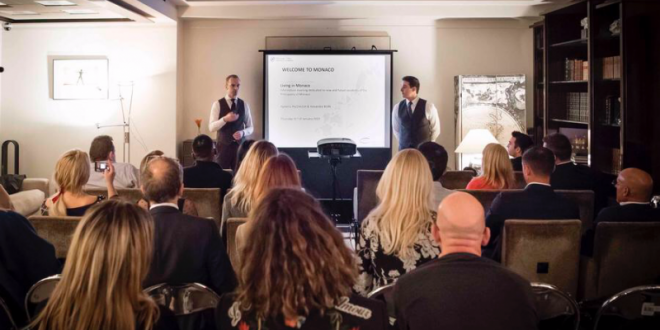 The Welcome Office, headed by Laurence Garino, held an information meeting at the Foreign Residents’ Club of Monaco (Club des Résidents Étrangers de Monaco) (CREM) for new and future residents. This meeting was an opportunity to present various practical aspects of life in the Principality, from healthcare to the different modes of transport, education and business creation. After the presentation, participants had a chance to speak with members of the Welcome Office in English, French or Italian. These meetings also enable guests to meet other residents. The Welcome Office is the entry point for anyone planning to move to Monaco, on either a private or professional basis. The role of this Service is to welcome new and future residents and offer advice and guidance. This operation will be repeated within the CREM, which also acts as a channel to help newcomers become integrated.